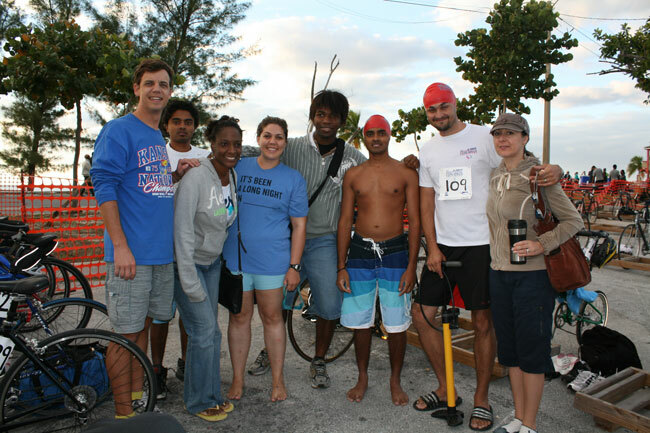 Freeport, Bahamas - Ross University School of Medicine, Bahamas Clinical Site was pleased to be a sponsor of this year’s Grand Bahama Conchman Triathlon. 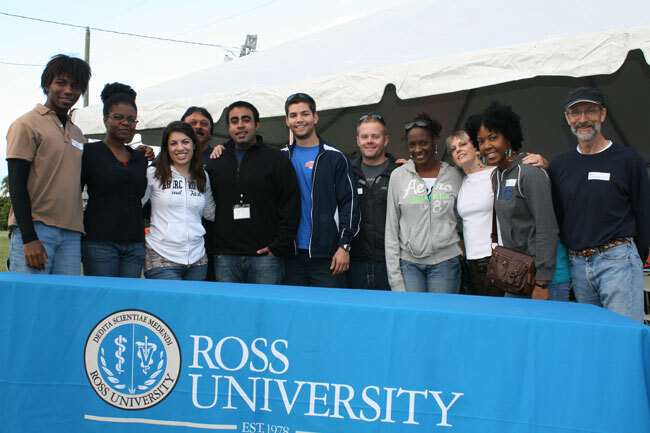 General health screening and BodyTracker fitness indices were offered at the Ross tent for all participants and visitors. General health screening was provided by members of the Healthy Lifestyles program of the GB Public Health Authority and local physicians. The screening included height, weight, girth, blood pressure, blood glucose and total cholesterol. Dr. Elaine Lundy donated her time to discuss any abnormal findings with individuals so that they could have appropriate information to follow up with their personal physician or health clinic. Local healthcare professionals working along with Ross and providing the screening were Dr. Josephine Bartlett, Dr. Helen Coronica, Dr. Elaine Lundy , and Sister Kathy Saunders. Ross provided the BodyTracker scale, which gives a reading of weight, percent body fat, basal metabolic rate, bone mass, metabolic age and other physiological measures of health and fitness. The BodyTracker scale is used regularly in Ross’s wellness initiatives on campus. 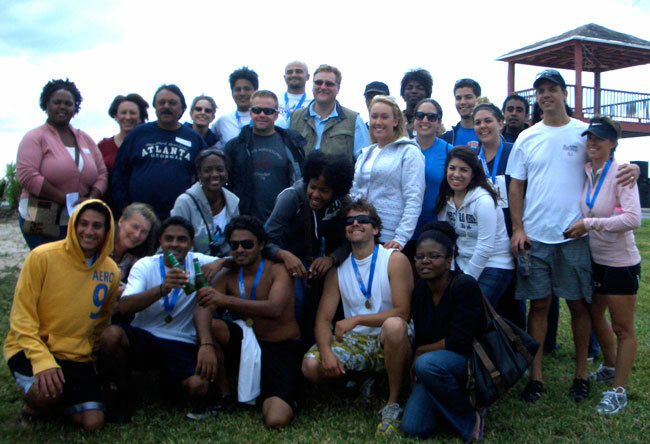 Ross University students, their family and faculty also participated in the Conchman itself. 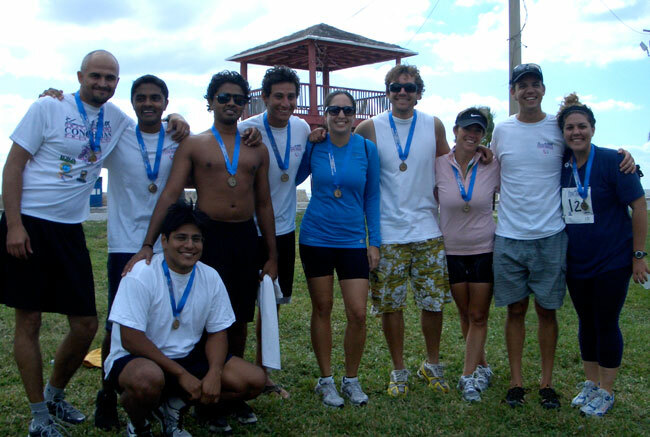 Sasank Nakka won the fastest overall run, Ralph 'Sonny' Reed, and Mina Shaker got 2nd and 3rd in the men's 20-29 age group, Lindsey Ling and Amber Keppler got 1st and 3rd in the women's 20-29 age group. Stephanie Holmsten won the women's 30-39 age group. Lindsey Ling's mother, Nancy and sister, Michelle came over from Florida to participate and they each got 2nd in their respected age groups (50-59 and 20-29).